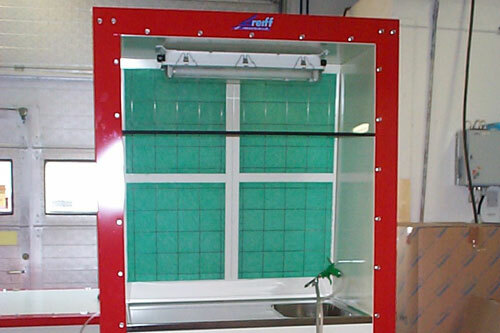 Greiff’s fume cupboards provide the ideal work spaces for cleaning and servicing everything from spray guns to pumps and other equipment. Each cupboard is fitted with a sink, cleaning gun and collection container beneath the work surface. There is also lighting and a filter in the rear wall adapted to different zone areas for the handling of any flammable substances.